Anne E. Kirtley gave many years of her life as a beloved professor at Judson. She founded many of the things Judson students still love: the Conversationalist yearbook, the Triangle (student newspaper), the Scrimshaw literary magazine, the college archives, and several (shh!) secret traditions. 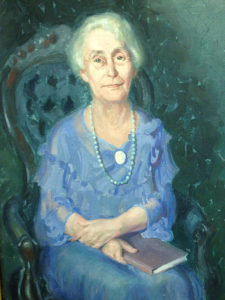 The original portrait of Miss Kirtley hangs in the freshman dorm, Kirtley Hall.